Check out what has been happening Golf. 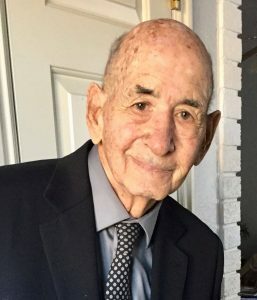 Gene Schneiter, 86, of St. George, Utah passed away peacefully of natural causes with his wife Judith by his side November 27, 2018. Gene was born July 22, 1932, in Ogden, Utah to Mildred and Ernie Schneiter Sr. He was raised on the golf course where he developed the character traits that made him so successful in life. He graduated from Weber High School and attended Utah State University on a golf scholarship. He was a proud Aggie his whole life. Gene lived for golf, dreamed of golf, and dedicated his life as an ambassador for the sport. He started his professional career in golf course maintenance, transitioning to Red Hills Golf Course in St. George as its first golf professional-a course he and his father built. A few years later as Bloomington Country Club was being developed, Gene returned to his love of golf course maintenance, going on to develop and help build many of the courses in the St. George area. He was widely recognized for his expertise as a golf course superintendent. His life’s work was dedicated to creating and expertly maintaining beautiful places for others to enjoy. The tranquility of the golf course accompanied him as a loving and devoted husband to his wife, Judith; and blessed all those who knew him as a father, grandfather, great-grandfather, brother, uncle and friend. Gene was a faithful member of the Church of Jesus Christ of Latter-day Saints. He loved his ward family and especially enjoyed being a home teacher. He was a friend to all and made lasting connections easily. Celebrating their 50th wedding anniversary this year, he is survived by his wife Judith; children Jeff (Joan) Schneiter, Barbara (Ken) Holt, Greg Schneiter, Lynette (Eric) Schloer, Terry Schneiter, twelve grandchildren, and ten great- grandchildren who loved their papa. Gene is also survived by his siblings, Ernie Jr. (Ardell), Colleen (Dean) Randall, and Carolyn (Neil) Thornton, along with many nieces and nephews he loved. Funeral services will be held Monday, December 3, 2018, at 11:00 a.m. at the Spilsbury Mortuary, 110 South Bluff Street, St. George, Utah (435) 673-2454. A viewing will be held at the Spilsbury Mortuary from 5:00-7:00 p.m. on Sunday, December 2, 2018, and again Monday, before the funeral from 9:30-10:30 a.m. Interment in the St. George City Cemetery. Arrangements are made under the direction of Spilsbury Mortuary, (435) 673-2454.